The Dulux Paints Bayers Lake Breakout Performer of the Year proved to be one of the tougher panel decisions in recent TCM Awards memory. From a ballot of 22 more than qualified names, the field was narrowed down to 10 and, for the first time, a handful of considerations were left off the final ballot. With the expansion of the TCM Panel from three to five panelists, the scoring has changed slightly for 2018. Each of the five panelists, who have been to the race tracks, seen the racers and have read/heard plenty about the nominees, were presented with a list of 20+ nominees for each category along a brief list of each of their accomplishments. They were asked to rank their favorite five which, in turn, narrowed the field down to the traditional final ten. Their top picks each received five points, second pick received four points, third received three, fourth got two points and their last pick got one point. The fan vote winner will be awarded ten points, second on the fan vote will receive eight points, third will get six and so on with sixth place on back receiving zero from the fan vote. In previous seasons, the fan vote comprised 25% of the vote with the three panelists each being responsible for 25%. It breaks down to about the same percentage under the new trial format, with the fans having a 30% weight on their vote compared to the panel’s 70%. A perfect score is now 35 points (five from each panelist plus ten from the fans). #0 Rob Poirier – Rob Poirier certainly added to not only his trophy case but also his wardrobe, adding a Speedway Miramichi Mini Stock championship ring and a Petty Raceway Mini Stock championship jacket in 2018. Along with his three wins, including SpeedWeekend 2018 at Speedway 660, he earned 15 top five finishes over the summer. #10 Brady Creamer – Four wins, including a Martin’s Home Heating Sportsman 125 win at Speedway 660, and a Petty International Raceway Late Model Sportsman track title highlighted the year for Miramichi’s Brady Creamer. The No. 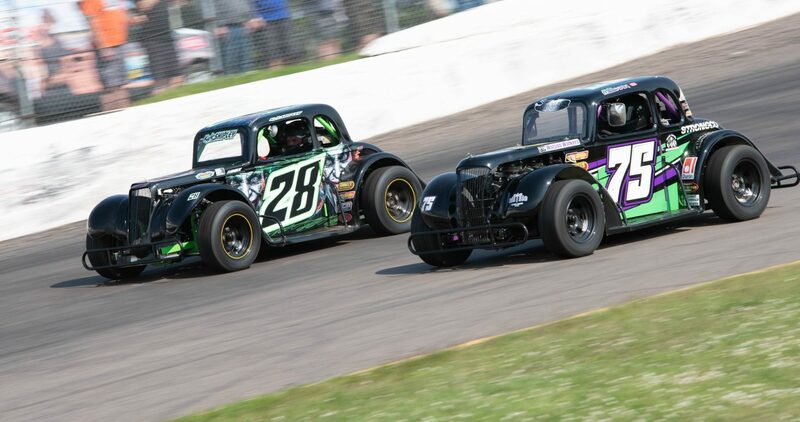 10 was a threat for the win every time it hit the track, including on IWK 250 weekend before an engine issue sidelined the team from the Friday night 150. #10 Patricia Taylor – Patricia Taylor started off the season by winning the Season Opener at Petty International Raceway, one of two wins and six top five finishes on the year. The big year garnered a second place finish in the Mini Stock point standings at her home track. #71 Scott Kennie – There was no sophomore slump for “Bat Hubby.” In fact, Scott Kennie came out of the gate hot in 2018, winning three features and racing to six top fives at Speedway 660 in the Sharp Shooter class. Kennie finished fourth in the point standings. #106 Marshall Bezanson – Talk about a tale of two seasons! After mechanical issues plagued the No. 106 team in the first half of 2018, Bezanson turned up the wick scoring three feature victories in the latter half of the year. He finished fourth in the standings in the Scotia Speedworld Lightning division. We knew once Justin Beers found his footing in a Late Model, he would be a front runner. Beers scored his first win in August taking home the prestigious Caleb Dunn Memorial and followed it up with another Late Model win at Petty International Raceway in September. With those victories, Beers definitely turned heads and will be one to watch in 2019 as he races for a track championship at his home track. The five points Beers scored came from a single first place vote from one of our panelists. Call him “Moses,” because when the seas parted it was Cody Byrne picking up two victories on the East Coast Mini Stock Tour in 2018. Byrne, the long haul driver on the second year Series, inherited the lead in two of the last three ECMST shows to take wins at Petty International Raceway and Riverside International Speedway. In both cases, he had to hold off the field on late restarts to lock down the victory. He would follow that up with a big win during the Mike Stevens Memorial weekend. Byrne finished second in the Fan Vote and received one second place vote from one of our panelists. The proverbial monkey jumped off Jordan Veinotte’s back in 2018. Veinotte once again competed full time at two race tracks in Sportsman competition with success at both Scotia Speedworld and Petty International Raceway. 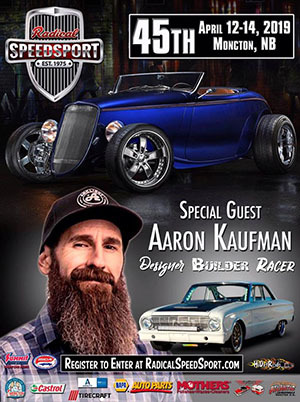 He raced within championship contention at both venues, coming up short in New Brunswick while winning the track championship for the first time at home. Veinotte scored his first Sportsman “major,” winning the 2018 River Glade International at Petty International Raceway. It was one of his five wins, which also included a back to back win weekend with a win in each province. The No. 11 also had 16 top five feature finishes in 2018. While we are still finalizing the Quinn Flooring Power Performer standings, we believe Veinotte finished well within the top ten in our region wide driver standings as well based off his best 12 races. Veinotte scored three second place votes from our panelists while finishing fifth in the Fan Vote, good enough for a pair of points. Some drivers race their whole Pro Stock careers without a win in a Maritime 250. Ryan Messer drove to victory lane in just his second 250-lap race, taking the 2018 McLaughlin Roof Trusses 250 at Speedway 660 to cap his sophomore season at his home track. That win alone, as wild and crazy as the race was, is enough to thrust his name into the limelight if it hadn’t been there already. Add to that a runner-up finish in the Speedway 660 Pro Stock standings with two feature wins and five podium finishes and you have a pretty stout second season in the region’s top class of racing. Messer scored points from all five panelists, including two first place votes. Messer’s fans placed him third in the Fan Vote, placing the former EIT Race Radios Hometown Hero Award winner second in the 2018 Dulux Paints Breakout Performer of the Year standings. The definition of a Breakout Season fits that of the one driven by Emily Meehan in 2018. Meehan scored her first win of the year on CTV Night at Scotia Speedworld on May 25th. That win came nearly four years after her last feature triumph in July 2014. It took Meehan little time to rack up victories and the points to go with them. In total, Meehan walked out of 2018 with five feature victories, including her first on the Maritime League of Legends Tour at Petty International Raceway, and had a shot at both the Scotia Speedworld and Maritime League of Legends Tour championships. She would wind up runner-up on the Friday night series at her home track by just a mere three points. Her season in Atlantic Canada, combined with her finish at Asphalt Nationals at the Las Vegas Motor Speedway, placed her 12th in the INEX International Semi Pro points and was the top Canadian in her age group. Meehan is one of two drivers in the Dulux Paints Breakout Performer of the Year to receive ranking points from all five panelists. Of the five panel ballots, Meehan was first on two of those. One of the most popular Legend drivers in the Maritimes, Meehan won the fan vote with 22% of the total vote over Cody Byrne and Ryan Messer. While she is a three-time Most Popular Driver finalist (2012, 2014 and 2015), this is Meehan’s first TCM Best of Racing Award win and first TCM Banner.